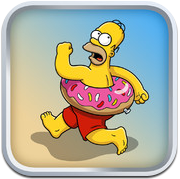 Yesterday Electronics Arts released a minor update to The Simpsons: Tapped Out for iOS to version 4.3.1 which was not made available to Android users. While there was a lot of speculation of what the update had to offer, there was no clear indication from Electronic Arts. Having tested the game on iOS and Android, it seems that the update doesn't really offer anything new. It is not a maintenance update to clear out July 4th files. Now the speculation has turned to suggest that the update is a pre-cursor to the REAL update which is expected to arrive sometime this week. Again we don't see iOS users getting an in-game related update which Android users don't receive. Then again, the Android version of the update maybe just around the corner.